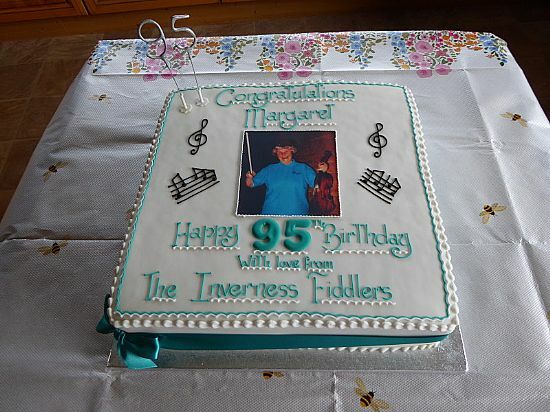 Inverness Fiddlers | Happy 95th Birthday Margaret! 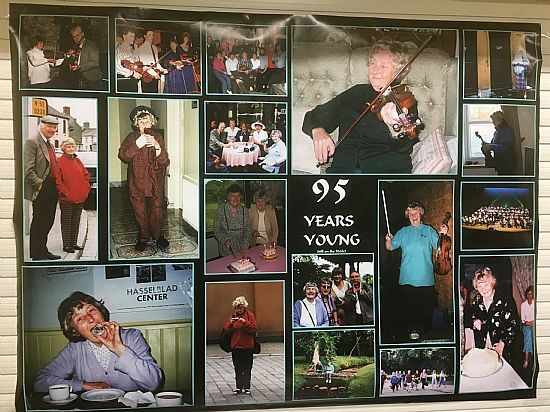 Inverness Fiddlers were delighted to celebrate Margaret MacIntosh's 95th Birthday during the first practice session after our Summer break on 14th August. 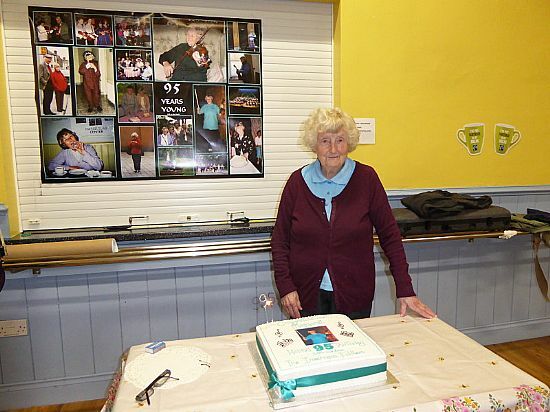 All present were pleased to congratulate Margaret and enjoy a slice of her delicious cake!